This exotic splash of wilderness is a Himalayan-style glen, set in the gentle hills of Argyll. 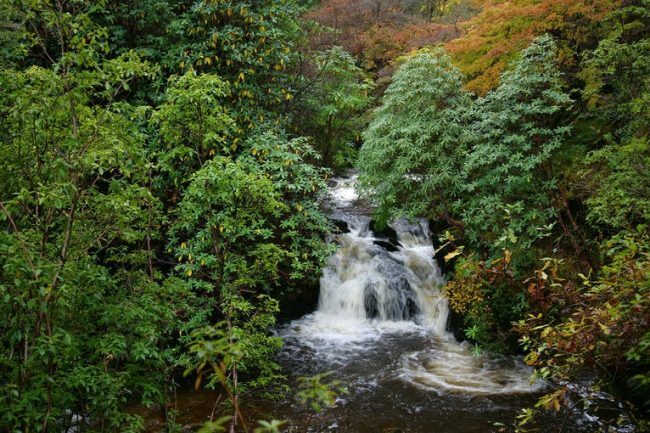 The sparkling waters of the Crarae Burn form the centrepiece for a woody paradise of rocky gorges, wooden bridges and thickets of maple, birch and evergreens, blending with sprays of flowers. Crarae Garden was created in 1912 by Lady Grace Campbell, the aunt of intrepid plant hunter Reginald Farrer, who sourced trees and shrubs from China, Nepal and Tibet. The garden hosts an amazingly varied collection of trees, some champions of their species, and a National Collection of southern beech.